After seeing Melancholia my sister and I wandered down to Columbus Circle in search of eats. Food trucks in the city are tough-I can never tell whether they’re some kind of awesome, unique treat you would see in a magazine (like this one) or your standard not so awesome hot dog stand. Gotta get up close and investigate! 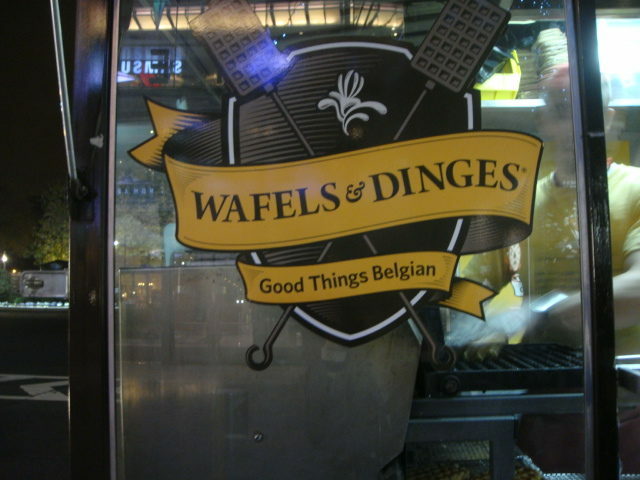 Luckily my sister knew of the Wafels & Dinges truck from seeing it on Food Network, and it was SO good! They serve up warm, toasty Belgian waffles that they press right in front of you and top with all sorts of deliciousness (that’s the “dinges” part). It was like the New York equivalent of a Parisian crepe cart, and I loved it. 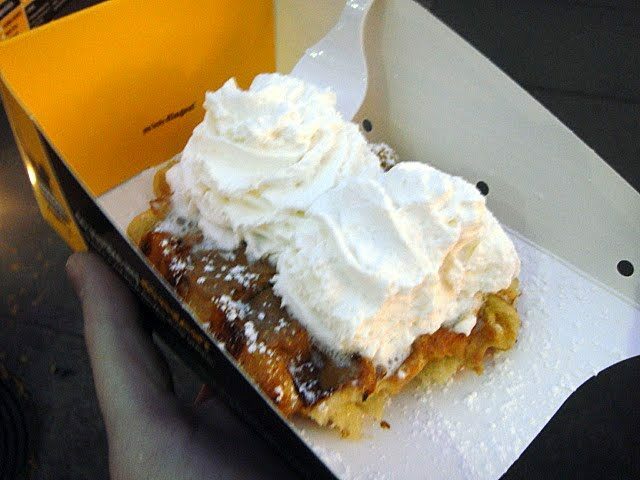 I got “de throwdown wafel,” so named because it won on Throwdown with Bobby Flay! It comes topped with spekuloos spread, which the waffle man described as a mixture of crushed up graham crackers and peanut butter with “a dash of rainbows and children’s laughter.” Honestly, spekuloos is my new favorite thing on the planet. It was like Nutella but more gooey and graham cracker-y. It is SO good, I can’t believe I’ve been living without it for almost 26 (eep!) years! The waffles are so moist and toasty, and the topping was like a delicious sugar bomb. My ensuing sugar coma was well worth it. 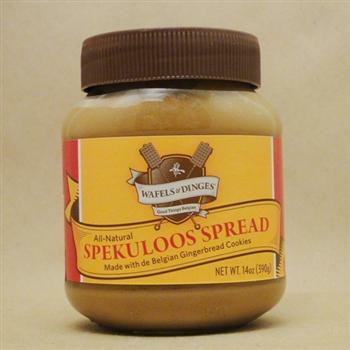 Buy yourself a jar of spekuloos for Christmas. You will not regret it. 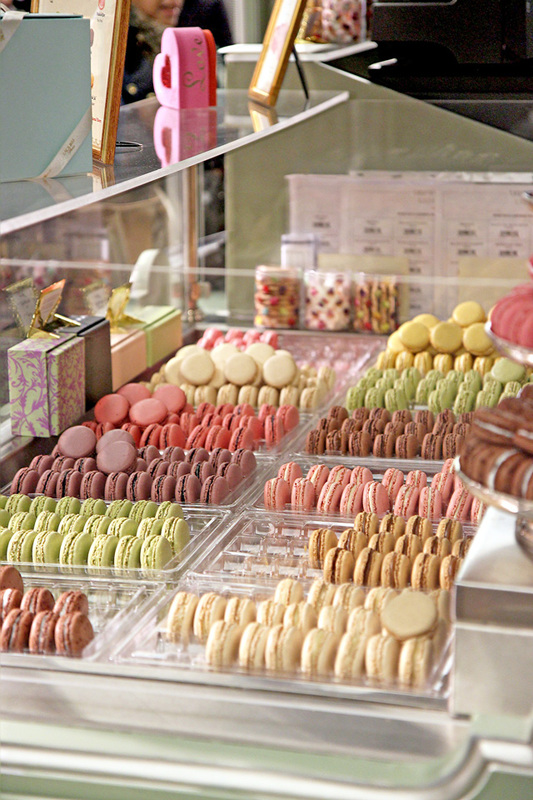 Ohhh yummy! I love crepes and waffles so much. I visited my sister in Germany this past summer and are so many crepes and so much nutella… it was heaven. AAAAAnd now I want waffles! I live nowhere near there though, so I'll have to settle for homemade. 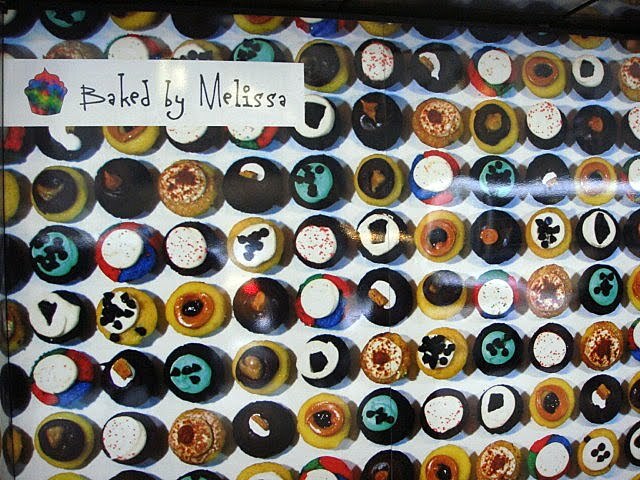 But man do those look good! Looks good for dinner. Wish there were a truck like that here! Want to check that out. yum!! I LOVE waffles. still searching for a good spot in LA. if anyone out there reading this can recommend a joint, I'm all ears! wow that spekuloos looks delish! it's like a cookie spread? Megan: I think Europeans have it right when it comes to street food! 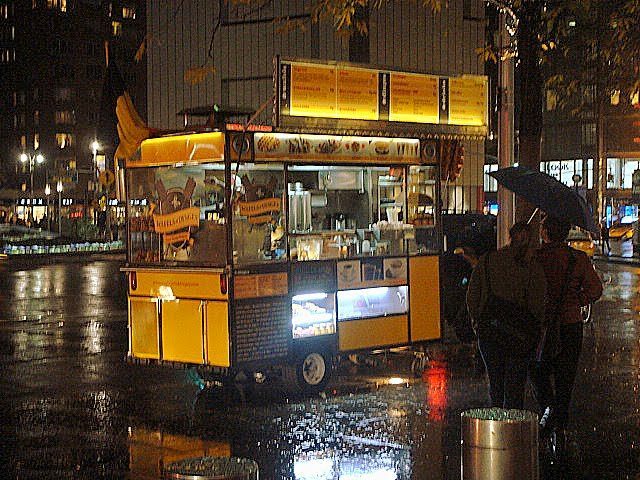 I wish crepe carts would migrate to the US. threadsandbuttons: I'm sure homemade will be even better! Whitney: yeah, it kind of has a texture like caramel sauce, but then you can taste some crushed up cookies. I thought it tasted like graham crackers but the label says gingerbread cookies-either way it's amazing!